JOHNSON’S® has always been a favorite product of mine. From my teen years till now that I have 2 kids, I always make sure that I have JOHNSON’S® product on hand to make sure they're skin are well-protected. 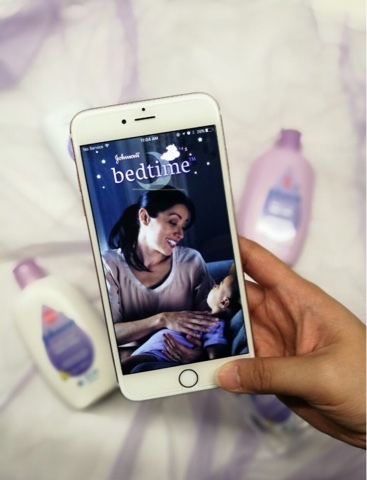 JOHNSON’S® BedtimeTM launches new Baby Sleep App to help moms better monitor baby’s sleep and development; now available on the Apple Store and Google Play Store. Manila, January 10, 2016 – When it comes to raising a baby, a mother’s priority has always been about ensuring their health and development. For working moms especially, the ultimate challenge is getting the right amount of sleep for both her and her baby. 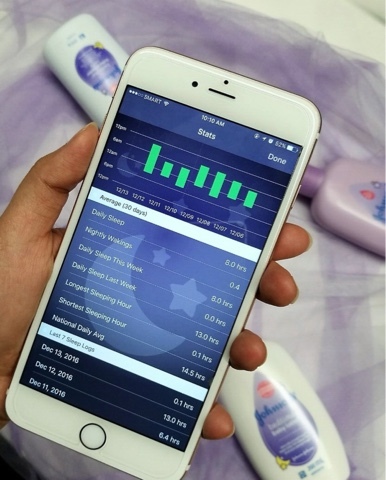 What with busy schedules and always being on-the-go, pioneer in the science of baby development, JOHNSON’S®, has developed a new mobile application perfect for all working parents. 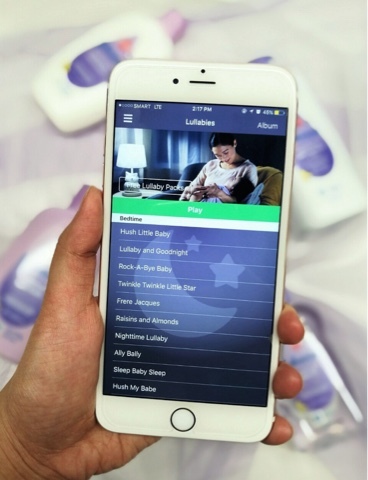 Featuring a set of proprietary and customized tools, the app is designed to be the ultimate sleep expert-partner for parents. Sleep Log: Parents are able to log-in a baby’s sleep schedules–- this includes the times and number of hours that baby sleeps and wakes—for close monitoring of a baby’s sleep patterns. This feature even produces a sleep analysis score that comes with recommendations from JOHNSON’S® sleep experts! Find out your baby’s sleep score and discover more about your baby’s sleep habits through the custom Sleep Analysis, generated from your baby’s daily Sleep Logs. Sleep Analysis: This feature provides parents with an analysis on a baby’s sleeping habits and provides answers to some of the most pressing questions parents may have. The results will come in according to the following sub-categories: General, Falling Asleep, Sleep Routine, Sleep Duration, Night Wakings, and Family and will likewise generate customized recommendations. Ambient Sounds: Research has shown that ambient sounds can help induce sleep (for adults, just as well, as babies). With this feature, parents can play DJ and mix up to four ambient sounds at one time; just the way your baby likes for bedtime. Learn more about the JOHNSON’S® BedtimeTM Routine and find out how you can sleep train your baby into getting an additional one hour of snooze time. Lullaby Playlist: JOHNSON’S® Bedtime™ also boasts of a wide variety of lullabies that parents can pick from! You can even set a playlist of up to four songs with no interruptions or advertisements. And the best part? The new lullabies have "all the science of sound embedded” so there will be no more second-guessing. Choose from a number of classic lullabies in the Lullaby Playlist, or even mix up to four ambient sounds, to drift off to with your baby. Ask an Expert: Parents also have direct access to JOHNSON’S® sleep experts who can answer all other sleep-related questions (not already addressed by the Sleep Analysis feature). Get real-time answers from JOHNSON’S® sleep experts to questions not addressed in your baby’s customized sleep analysis. “Sleep is very critical to a baby’s growth and development. 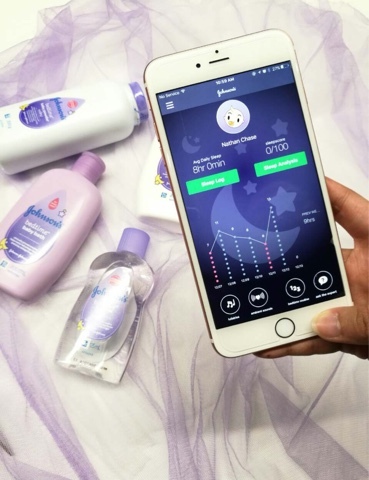 That is why we created the first clinically proven routine together with an app backed by science, to lead to better nights for both moms and their babies,” shares Bessie Campillo, JOHNSON’S® Franchise Marketing Manager. Find out more about your baby’s sleep patterns in the ‘Stats’ section of your baby’s Sleep Log. She also emphasized that with better sleep, babies can enjoy a stronger immune system, improved social skills, and increased abilities in learning and memory. Alongside the release of the Baby Sleep App, JOHNSON’S® also launched the first scientifically-proven bedtime routine, guaranteed to help you and your baby to sleep for an additional one hour in just seven days. More details about the routine can be found in the new app’s features. For more than 100 years, JOHNSON’S® has been committed to providing safe, mild and gentle products for babies and adults. As a leading expert in baby skin care, the Brand is at the forefront of best practices, science and innovations and is committed to the healthy, happy development of all families around the world. JOHNSON’S® offers baby products in more than 175 countries.